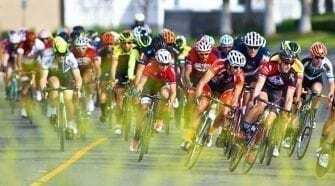 Gilbert Wins UCI Road World Championships, SoCal Ride Strong for USA - SoCalCycling.com - Southern California, Cycling, Amgen Tour of California, News, Bicycle Racing, Fun Rides, Event Calendars. The 2012 UCI Road World Championships wrapped up Sunday in the Netherlands with the junior and elite men’s road races. Alexandre Darville (Santa Barbara, Calif./Hammer Nutrition-CMG Racing Team) was the first American to cross the line in the junior men’s race, placing 16th and finishing with the same time as the winner, Matej Mohoric of Slovakia. Alexey Vermeulen (Pinckney, Mich./Bissell-ABG-NUVO), the next American finisher at 52nd place, also finished in the front group. In the elite men’s race, Andrew Talansky (Napa, Calif./Garmin-Sharp-Barracuda) led the American effort with a 43rd-place finish, 1:54 off the time of new world champion Philippe Gilbert of Belgium. Alex Howes (Golden, Colo./Garmin-Sharp-Barracuda) and Timmy Duggan (Nederland, Colo./Liquigas-Cannondale) were part of an early 11-man breakaway, but that lead group was eventually absorbed by the peloton. Talansky attacked with two laps remaining, gaining more than a minute on the peloton, but his move was also caught. Belgium’s Philippe Gilbert won the UCI world championship road race Sunday with an attack up the Cauberg climb in The Netherlands to become the fourth world road champion on the BMC Racing Team. Gilbert followed the attacked of Italy’s Vincenzo Nibali (Liquigas-Cannondale) in the early part of the 1,200-meter climb before launching his own attack that opened up a gap that grew increasingly large as he topped the summit, 1.7 kilometers from the finish line of the 267.4 km race. The double stage winner at the Vuelta a España had enough time to celebrate as he rolled in four seconds ahead of runner-up Edvald Boasson Hagen (Sky Procycling) of Norway. Alejandro Valverde (Movistar Team) of Spain was third. 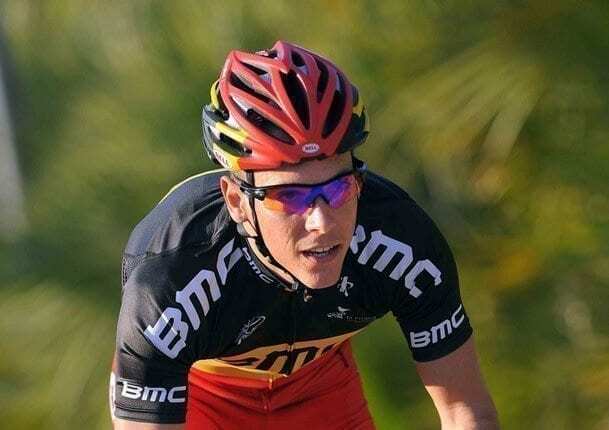 Gilbert follows in the footsteps of the BMC Racing Team’s previous world road champions: Alessandro Ballan of Italy (2008), Cadel Evans of Australia (2009) and Thor Hushovd of Norway (2010). 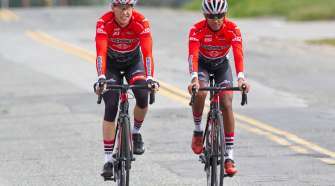 Gilbert credited his teammates, who included BMC Racing Team’s Greg Van Avermaet, for helping him score the biggest win of his 10-year professional career. “The whole team did a really good job,” he said. “I was well-placed at the bottom of the Cauberg and while I knew I didn’t immediately have a huge gap, I had a good feeling because I’ve won the Amstel Gold Race here. Plus, there was a tailwind, so that was good.” A past Belgian national road and time trial champion, Gilbert was the No. 1 ranked rider in the world in 2011 but had struggled to find the same form this season. 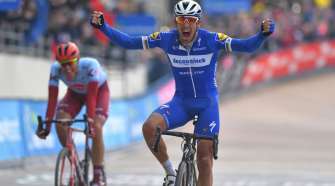 He finished third at Flèche Wallonne in April and scored four top 10 finishes at the Tour de France before his victories on Stages 9 and 19 at the Vuelta. In all, USA Cycling’s team brought home two silver medals in the elite time trials, with Evelyn Stevens (Dennis, Mass./Specialized-lululemon) earning one in the women’s race and Taylor Phinney (Boulder, Colo./BMC Racing) riding to second in the men’s race. In addition, American riders posted four other top 10 finishes, including: Tejay van Garderen¡¦s (Boulder, Colo./BMC Racing) fourth in the elite men¡¦s time trial, Amber Neben’s (Lake Forest, Calif./Specialized-lululemon) seventh in the elite women’s time trial and fourth in the elite women’s road race, and T.J. Eisenhart’s (Lehi, Utah/Velosport Racing) 10th in the junior men’s time trial. 3. Josip Rumac (CRO) s.t. 16. Alexandre Darville (Santa Barbara, Calif./Hammer Nutrition-CMG Racing Team) s.t. 52. Alexey Vermeulen (Pinckney, Mich./Bissell-ABG-NUVO) s.t.